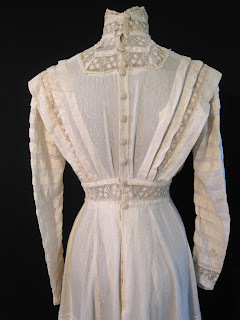 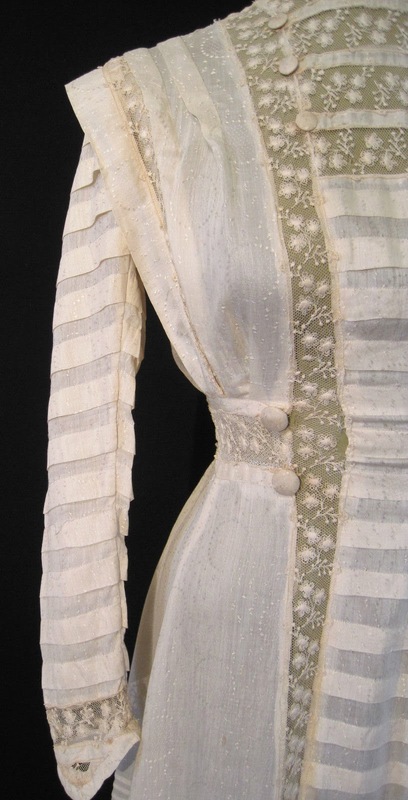 This is a spectacular Antique Early 1900's SILK and LACE CREAM COLORED WEDDING GOWN DRESS. Beautiful soft silk fabric with satin thread embroidered detail of circles and dots. The front has a full length lace and pleated panel from the high collar to the hem. The lace is a floral embroidery of flowers and leaves on net. The front panel and sleeves are composed of rows of 3/4" wide pleats as well as pleats at shoulders that overhang fitted shoulders. 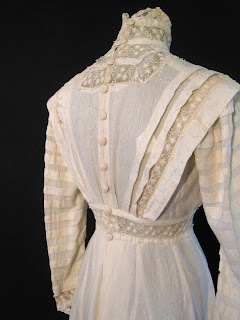 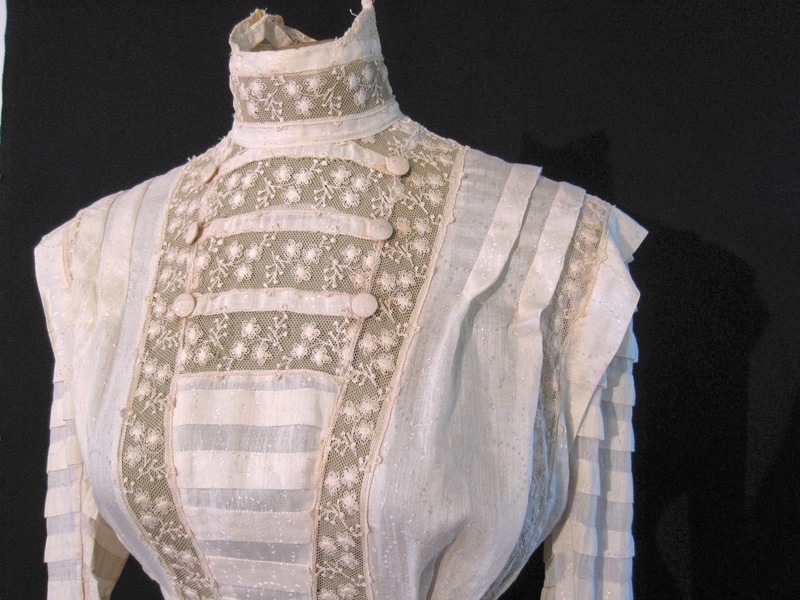 The dress is accented with silk covered buttons at the top bodice, waist and at cuffs (button missing at one cuff), as well as 10 covered buttons down back. 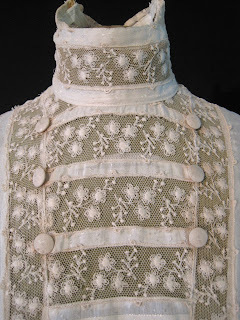 Hook closures in back, stays inserted in collar. 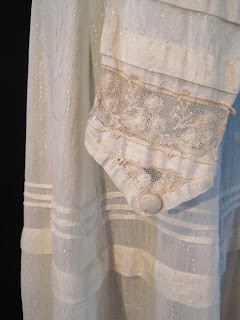 The skirt also has tiny pin tucks pleats and a wider 1 1/4" pleat. 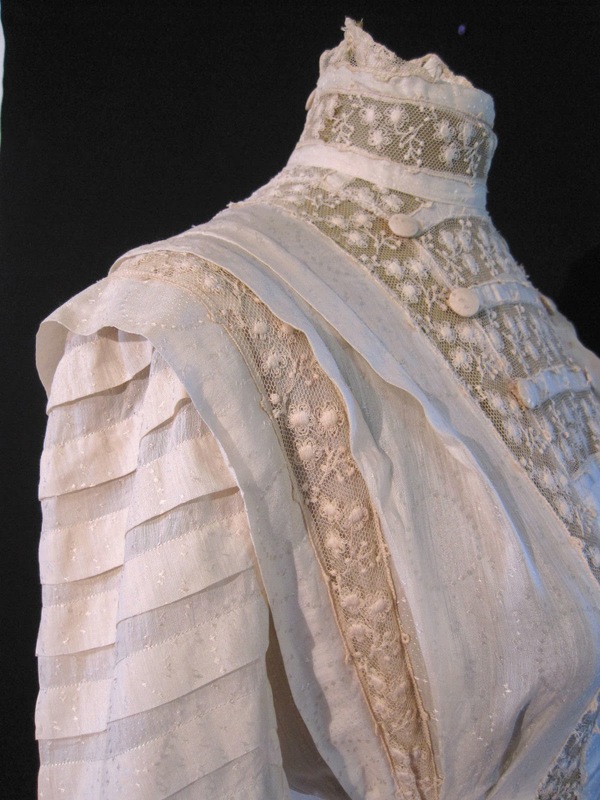 Just beautiful, a piece of wearable art! Still in wearable condition, but does have some loss under arms where the fabric has split, some spots on front and back of skirt and a small split in fabric near hem. 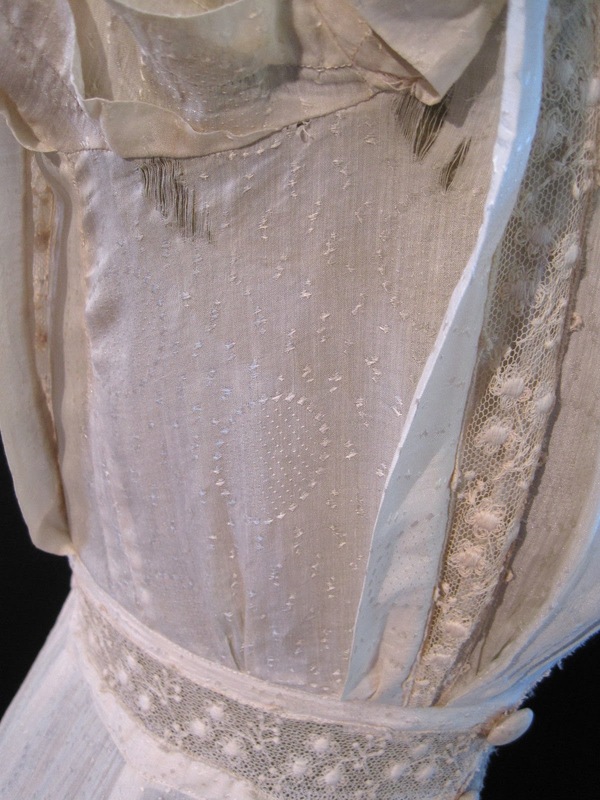 Some tears in lace that can be repaired. 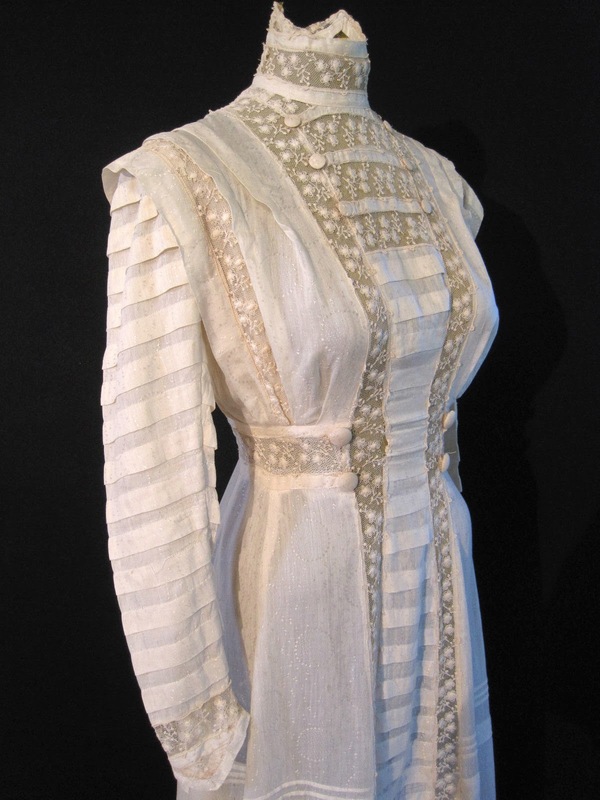 A stunning gown! Measurements: across shoulders: 16", bust: 40", waist: 26", hips: 50", from shoulder to hem: 52". ...I almost think that the pictures and the description aren't of the same dress. 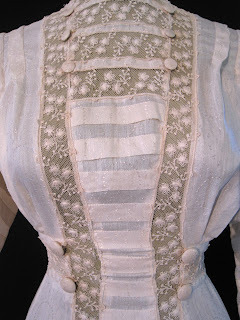 I see a normal embroidered cotton summer dress - not a wedding gown.